Korean pop star G-Dragon, whose real name is Kwon Ji-yong, has become the latest face to join Nike’s Air May Day 2017 campaign, joining the likes of actress Ruby Rose and soccer star Neymar Jr.
News of his campaign first emerged on well-known Korean fan sites such as KpopStarz and Allkpop, which revealed a 17-second commercial G-Dragon filmed for the sports brand, as well as billboards in Korea which see him promoting the new Vapormax model. Headlining the campaign is the slogan “KISS MY AIRS”. 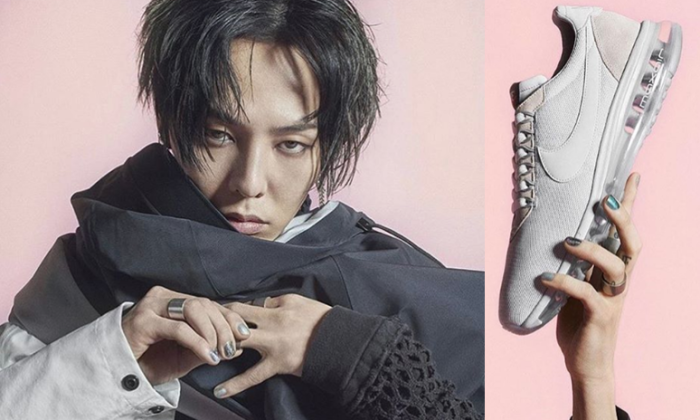 Studio images of G-Dragon modelling the shoes were also made available by Korean fashion brand Blind Reason. Most recently Nike announced plans to start selling hijabs for Muslim women athletes. The new line called “Nike Pro Hijab”. The brand also tapped into a market that has commonly been left untouched by the sports fashion industry – the plus-size market. Nike’s new plus-size line’s sizes ranged from a 1X to 3X.